Once a potential participant passed the telephone screen, a screening visit was scheduled and if the subject fulfilled all inclusion criteria, the subject was enrolled as a subject and completed the Screening Visit procedure described below. This visit served as the baseline visit. Informed consent was explained and obtained. Subject questionnaire was completed containing subject name, contact information, hair history, pertinent medical history, medications, and allergies. Site investigator or study coordinator reviewed the questionnaire for completion of information and signature and answer all questions by subject. The Principal Investigator, a qualified medical doctor, made the final decision for inclusion or exclusion of a subject into the study based on examination and the subject's medical history, medications, or allergies. After qualification for inclusion in the study, subjects were assigned sequential registration number by the site coordinator beginning with 900. Assignments were made on time of first presentation, a first-come first-served basis, regardless of age, gender, heritage, severity of hair loss, or any other criteria. Subject "before" photos were then taken. Supplement bottles. The investigator attached a sticker to the back of the product with the registration number which remained in place throughout the study. Throughout the study subjects were asked to evaluate any change with respect to their current level of satisfaction with their hair. 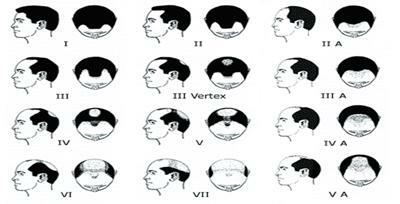 A representative area of baldness on the scalp vertex will be selected and a small dot will be tattooed with permanent ink in the center of the balding area and a ½ inch diameter circle template will be cut from a plastic material. At every other visit the template will be placed centered over the dot and noticeable hairs will be counted. This was found to be inconclusive and was discontinued early on as the accuracy of the hair counts are questionable being that hairs which fell on the borderline may have fallen within or outside of the perimeter on a given day. Any adverse events were noted in the subject chart and reported per the On-Site Study procedures. Subject photos taken and documented with use day. Review prior week's diary and determine compliance. Any significant deviations from the use procedure or any material questions from the subject will be noted in the subject chart. Subjects were asked to evaluate any change with respect to their current level of satisfaction with the product use. At the end of the study subjects were asked to complete the Procerin Exit Questionnaire shown in Appendix 4. All subjects were instructed to use the Procerin nutritional supplement tablet and topical solution in their daily regimen. Subjects were able to opt out at any time. Subjects who complete the study will be compensated $25 for each office visit. Subjects will also be compensated $50 for attending any individual interviews. All payments will be made 30 days after completion by check by study sponsor. In order to test the full impact on the hair follicle's growth cycle at least 6 months would be required however the results of this initial 90 day Pocerin Research study indicates that Procerin generates positive results for Men. 90% of the subjects' perception was that Procerin did slow hair loss. Moreover, the data shows that the vast majority of subjects are satisfied with Procerin and would recommend it to others. The majority of hair loss products on the market used to contain minoxodil, a drug that alters blood flow and is helpful for vertex balding. Then science noticed that medications that were used to shrink the aging enlarged prostate started to grow hair in men not only in the vertex but frontally as well. This led to the laboratory discovery of DHT receptor blockers. Herbal medications, that at the turn of the century were initially used to improve elderly urine flow, were now being looked at for prostatic and hair growth uses. There is a need to incorporate both the blood flow and DHT blocking abilities in a therapy that is easy to use and holistic in nature without prescriptive medication side effects. Procerin fits this bill nicely. This study clearly shows Procerin therapy is easy to use and even has beneficial photographic results at 90 days.